Outdoor Arizona. Multi. Paper. October 1975. 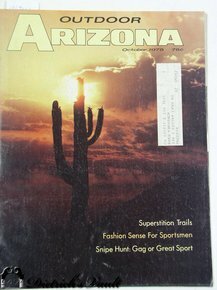 Superstition Trails, Fashion Sense For Sportsmen, Snipe Hunt: Gag or Great Sport.